They’ve been watching us for hundreds of years. 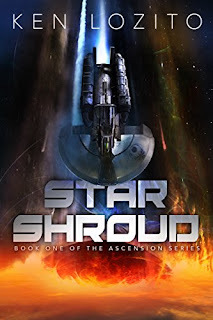 Kaylan is the pilot for Earth’s most advanced spaceship, but newly discovered images from a deep space probe changes everything. A hacker discovers a global conspiracy that promises to answer the ultimate question, but can he stay alive long enough to get the answers? Kept secret for 60 years, the discovery of an alien signal forces an unlikely team to investigate a mysterious structure discovered in the furthest reaches of the solar system. Join the crew of the Athena,Earth’s most advanced spaceship on the ultimate journey beyond our wildest imagining.